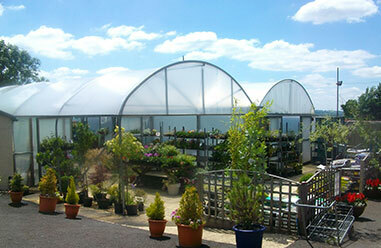 Barnett Landscapes Ltd have been working for Marketing Force for just over 17 years. Currently they maintain and landscape over 600 highway roundabouts for us to a very high specification. We have found Barnett Landscapes work to be of the very highest standard from the end product through to customer service. We have particularly found that they are very conscientious and provide an all round professional service and as a result we have built an excellent working partnership. I would therefore have no hesitation in recommending the services of Barnett Landscapes. Barnett Landscapes Ltd have been used by Stimpsons Eves for the last 5 years across the management properties, and previously were used on the same sites before they were managed by Stimpsons Eves. There are currently 6 sites within the portfolio of properties we manage that require a regular maintenance contract’s and Barnett Landscapes Ltd are the contractors in place. These are a range of industrial parks and local district centres where they carry out routine maintenance monthly and bi-monthly when required. The works include regular maintenance of the landscaping in place such as grass, shrubbery and hedges as well as scheduling in more specialist works such a tree surgery and seasonal planting requirements. In addition to these regular contracts we use their services on an ad hoc basis on other sites we manage where we do not have contract’s in place. The level of service and quality of work is always very good and competitively priced. In regards to health and safety the works have always been carried out in a safe manner and we have never had any issues or complaints. 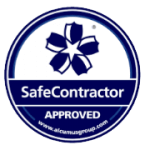 I understand they are accredited by Safe Contractor as well which is always reassuring to us as well as our landlord’s and tenant’s. I can confirm that I have known Barnett’s for nearly 13 years, firstly at Douglas Duff whereby they looked after the landscaping for several developments on behalf of Douglas Duff and latterly for CS2 Residential.I now recommend Barnett Landscapes to the majority of my developments. I find them extremely professional at all times, most definitely take pride in their work and after visiting a development that they are working on everyone comments how lovely it looks. They litter pick and if anything untoward has taken place they will ring from site and inform me, i.e. fences fallen down, loose paving, items dumped.I have no hesitation in recommending Barnett Landscapes and should you choose Barnett’s then I am certain you will not be disappointed. 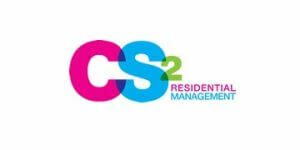 I’d like to pass on huge thanks from the Directors for the management company who live on site. One lady came home from work on Thursday and was amazed at what had been done, she sent me several photos and it looks fantastic. Another Director had been at home and seen the works being undertaken and had been equally impressed with the way Barnett’s had gone about their business as well as fully clearing up all debris. Following the retirement of their previous gardener after some decades of service, it was quite a leap of faith to put the site into the hands of someone whose work they were not familiar with but they have been delighted by the results. Barnett’s have restored and enhanced the glory of the gardens and site so please pass on appreciation to the rest of the team.